Nature's Valley is a small village situated at the mouth of the Groot River and is enclosed by the Tsitsikamma National Park. It is 29 km from Plettenberg Bay, enfolded with mountainous forest with old indigenous trees and Cape fynbos, a bird watchers paradise! It is where the world-renowned Otter trail ends. Most hikers seek accommodation in Natures Valley after doing this 5 day hike. There are also many gentle, scenic walks where bushbuck, bushpigs and wild birds can be seen. Bottle nosed dolphins and whales are often spotted in the ocean, while the southern right whale is common in early summer. 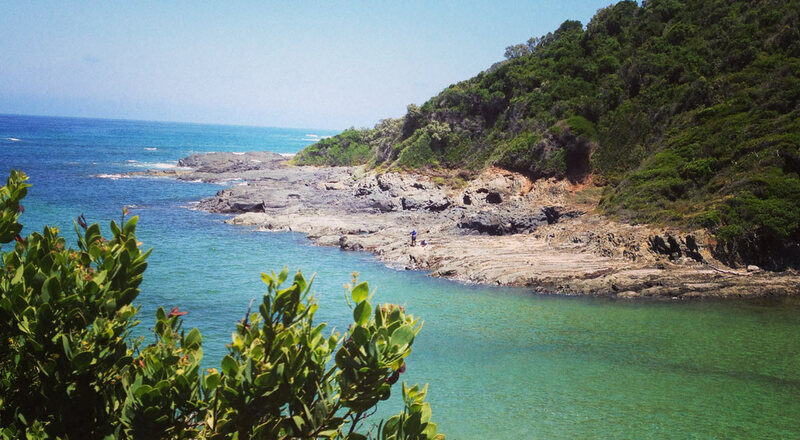 The Tsitsikamma hiking trail starts at Natures Valley and ends at the Storms river bridge. The Natures Valley Salt river day hike can be followed via the coast route or the Keurpad route and although difficult, it is exciting and worthwhile!